The senator said she had a “good conversation” with Ricketts Tuesday about supporting small businesses and creating good-paying jobs in Illinois. Ricketts’ confirmation hearing has yet to be scheduled. Nevertheless, Duckworth signaled a working relationship with the nominee despite expressing concerns over potential conflicts of interest. 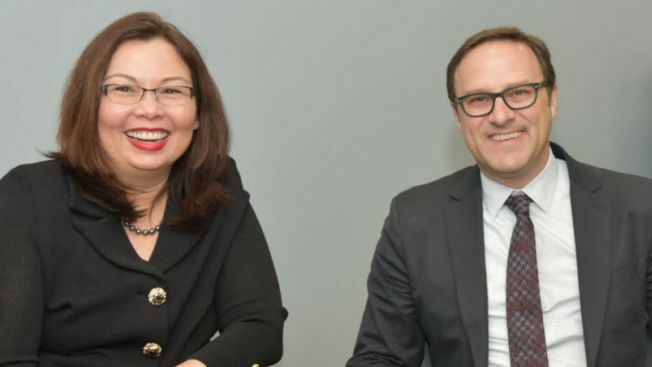 “If he is confirmed, I am confident we can work together to support Illinois’ agricultural exports, enhance the Illinois Manufacturing Excellence Center and strengthen programs that help minority-owned businesses grow,” Duckworth said. “As with many of this president’s nominees, the American people deserve a full and transparent accounting of how Mr. Ricketts will eliminate any potential conflicts of interest and I look forward to hearing him address those and other issues more thoroughly during his confirmation hearing before the Senate Commerce Committee,” she added.